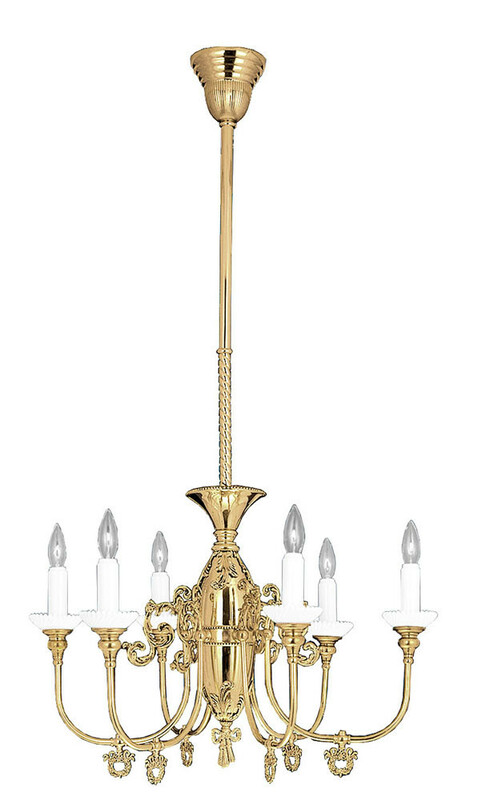 This is a full 6-light candelabrum chandelier, an excellent choice for formal dining areas. We can imagine the earliest Victorians, who were more comfortable with candles than gas, used the candle shape as a familiar bridge to the new gas light. 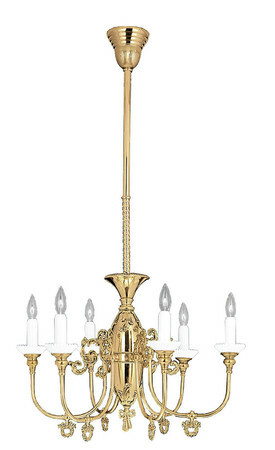 This chandelier looks great with Colonial furnishings, as well as Victorian. 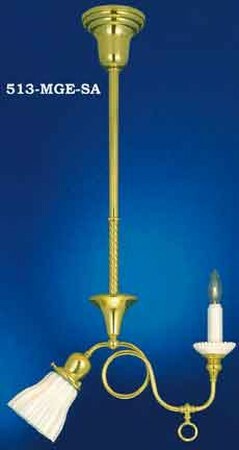 True milk glass candletubes and drip savers are provided. The porcelain socket inside the candletube is the highest quality, and will accept a 75-watt chandelier bulb. 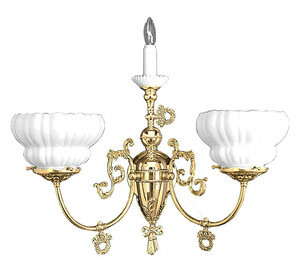 We offer matching sconces in single, double, or triple light fixtures. 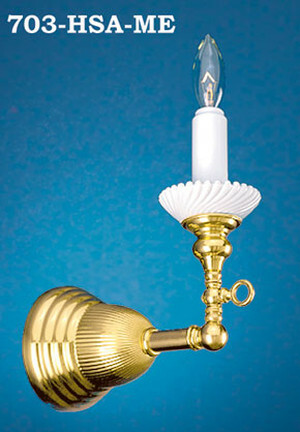 703-HSA-ME is a single candletube "wall bracket". For more light, see 707-TRP-SA, a gas triple sconce with two later "wide flame burners". As time went by, our Victorian friends phased in electricity, and 513-MGE-SA might have been one of the first in their entry or hall. Measures 45 1/2" high but can be shortened to 30". Spread is 27". If you need a taller height, order the extension kit 1014/18-EXT, to add up to 65". Six candelabra sockets up to 75 watts each, for a total of 450 Watts.